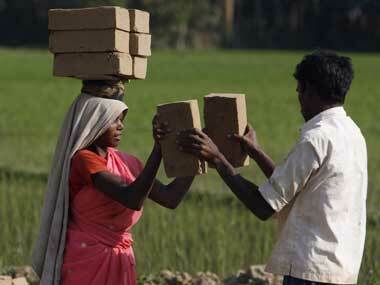 Bhopal: Out of 1.20 crore MGNREGA job cards in Madhya Pradesh, 53 lakh are fake. Now look at the other numbers. The state has been receiving around Rs 3,000 crore from the Centre every year since 2006. It means, a huge portion of this has gone to bogus beneficiaries. Add up all the money they siphoned off in the last six years. If it is a record in corruption, it is some record indeed. The state government has woken up to the problem rather late. It has ordered the cancellation of all the fake cards and taken strong punitive action against several officials besides ordering recovery of about Rs 5 crore from them. But all this clearly is a case of too little, too late. Sixty percent of the money under the Centre's flagship programme goes toward paying for human labour. That explains 53 lakh fake job cards. The rest goes towards construction material and other heads. As fake as the job cards or the beneficiaries, are the jobs undertaken. Construction, road-cutting and digging jobs done under MGNREGA happens only on paper. For the record, the state's expenditure towards the flagship central programme was Rs 1,863 crore in 2006-07, Rs 3,000 crore in 2007-08, more than Rs 3,500 crore in 2008-09, Rs 4,000 crore in 2009-10, Rs 3,640 crore in 2011-12 and over Rs 1,900 crore in 2012-13. 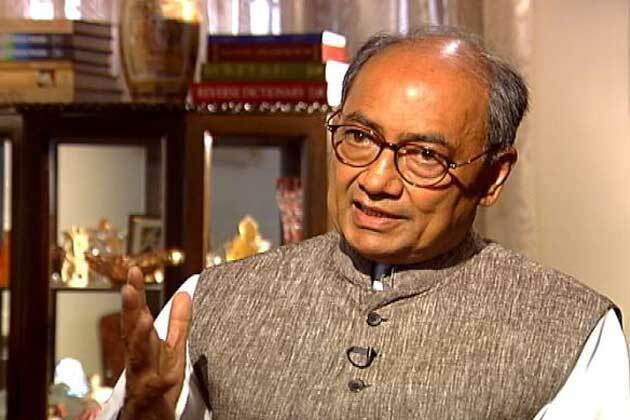 "Madhya Pradesh tops every other state of India where corruption in MGNREGA is concerned. Whether it is the amount bungled or the number of cases caught and reported, no other state can match the corruption happening, even now, in Madhya Pradesh." According to him, "Lack of transparency and accountability is the root of all corruption. It is like government functionaries from rural areas have been left with huge amounts of money to spend as they please. The scenario, quite predictably, is pure mayhem. There have been inquiries conducted upon MNREGA irregularities, on the state government's behest by IIM Indore, IIFM Bhopal, and a research study was carried out by Mahila Chetna Manch, Bhopal. But none of the reports were made public by the department. I have myself reported massive irregularities in different districts, but those reports too just gather dust, and the officials turn a deaf ear, as there is nobody interested to clear the mess." Time and again the state and national media have taken their viewers and readers to spots supposed to have been lakes, ponds and other water bodies dug or roads constructed by MGNREGA beneficiaries as MGNREGA job. While the team has shown government records on paper proving the 'jobs completed' and the labour and costs paid for, they could not, however, show any physical evidence whatsoever of a road or a water-body existing on land. Allegations are multi-pronged and numerous. A scheme targeted at the down-trodden class, i.e. dalits, Schedule Castes, below-poverty-line individuals, and those who were on the brink of abandoning their homes and state for want of livelihood, as reports suggest, leaves out these very people from the payrolls. If they have been included, they have not been paid the full amount or not paid at all. "Powerful and prosperous men from villages, team up with administrative functionaries and place their own manpower on MGNREGA payrolls and use their labour for their field-work. This saves the rich money, and deprives actual needy dalits and adivasis of the benefits of a scheme made initially for them." He cites the cumulative case of village Naregaon, tehsil Gadarwara, of Narsinghpur district. "In this village, since February 2012, the lower caste villagers are being treated as outcastes. Their fault - they refused to dispose of the dead cattle of the upper caste villagers." "Now these were the people who actually needed MGNREGA. But not one job has gone to them. All the beneficiaries are from the upper caste villagers and labourers working for upper class and rich farmers of Naregaon," he said adding, a fallout of this is that here the smaller farmers who need labour for their moderate farming needs, suffer. They cannot use bigger machines and are dependent upon labour from the village, which is now working for richer farmers at the cost of MGNREGA. As per the findings of an inquiry conducted by the state government, 91 officers, including the then Collectors and the then CEO of Janpad Panchayat, have been found committing irregularities. Action was not taken against the high-ranking officials, two of which belong to the cocooned IAS clan. "There is rampant corruption in the scheme all over the state. But a Collector of a district, who is directly involved in, and responsible, is yet to be held responsible for the corruption, or punished. Action will continue to be taken against the small fry but no higher-up would be brought to the book." Singh added that the state government and the CM were openly shielding IAS officers and CEOs. "This could point to the fact that politicians and high-ranking bureaucrats too are the beneficiaries of the MGNREGA pie," he said. The government, while accepting that irregularities have taken place, won't agree that it is as rampant as it is being made out to be. "Since the time of its inception in the year 2006, the government has carried out 14 lakh MGNREGA jobs in the state. We have received complaints of irregularities against just three thousand jobs. That is not even 0.5 percent of total jobs done. If 99.5 percent jobs have been done satisfactorily, and if the state government is taking action against wrong-doers in the remaining 0.5 percent, how can you call the scheme a failure in Madhya Pradesh?" asked additional chief secretary, Aruna Sharma. She added that taking action against the wrongdoers was the government's priority. However, since it's a procedural issue and involves in-depth inquiry, it takes time. "If allegations of corruption against Collectors and CEOs are proved correct, action will be taken against them too,'' she said. However, the larger issue remains unanswered yet. Most of those punished are engineers, who are directly responsible for the schemes. Who monitors them? Retired IAS officer Nirmala Buch, ex-chief secretary of Madhya Pradesh and the Head of Mahila Chetna Manch, Bhopal, the organisation that did a research study on MGNREGA for the Madhya Pradesh government in 2012, told Firstpost that MGNREGA is a scheme with major design defects. The implementation had to be carried out extremely carefully in such schemes and the jobs undertaken must be need-driven. "For example, water bodies have to be dug only at places where water shortage is at its worst. What it has ended up being is a scheme taken up by different Collectors, CEOs, Janpad functionaries, as it suited them, need or no need. District officials and Janpad functionaries decide the budget, the beneficiaries and their own interests. No practical guidance, no supervision and no monitoring have led to many jobs not done,"
Recently, Madhya Pradesh Lokayukta has appointed retired judicial officials, retired IAS officers, chief engineers, IFS and state administrative officers as MGNREGA Lokpals. How effective would retired officers be in monitoring construction jobs done in far-flung rural areas of Madhya Pradesh, is a question many would wonder about. MGNREGA, in many instances in Madhya Pradesh has ended in jobs not done, in genuine beneficiaries not benefitting, and in money reaching the coffers of the rich and the powerful. What is required is speedy action against all those who have done extensive misappropriation of government funds and recovery of money from them. This, however, looks like a tall order.